This past week we received some snow, with much of it visibly sticking to the ground in the upper elevations around Lake Tahoe. Coupled with beautiful fall foliage and the smell of winter in the air, I am definitely getting the itch for some Sierra skiing. 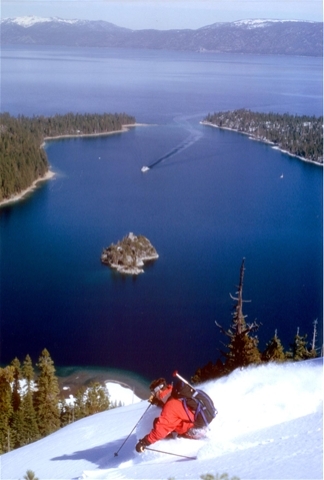 This is a picture I took a couple of years ago doing some backcountry above Emerald Bay on the West Shore of Lake Tahoe. 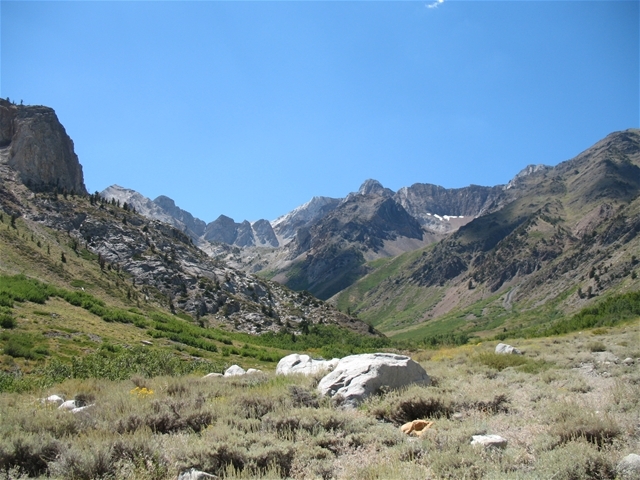 Megee Creek is a beautiful high Sierra hike located 10 miles south of Mammoth Lakes, CA. My wife and I chose this particular hike for our Labor Day Weekend retreat because of our previous year visit. We had been very impressed by the diverse geology, incredible profusion of wildflowers, and impressive high alpine views. However, we only made it 3 miles in before we had to turnaround. 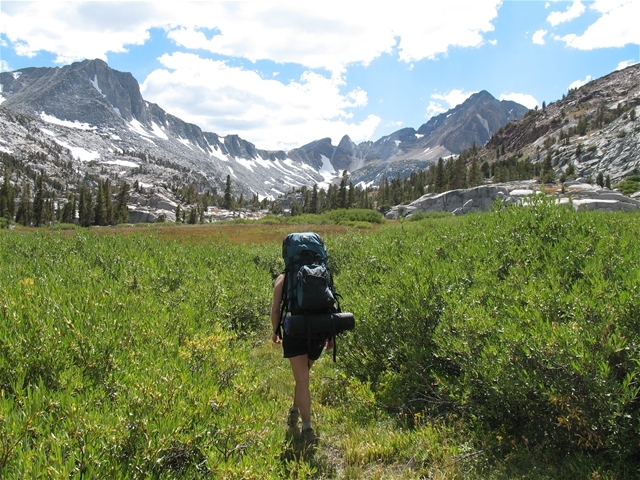 This year we had 3 days, backpacks, and no one else to dissuade us from making it all the way to Big Megee Lake, which is situated at 10,500 feet, and 7 miles up a fairly grueling climb. We followed the twists and turns of Megee Creek up and up, and it was not long before we became oblivious to the heavy loads we carried on our backs because of the beautful views. We eventually made it to Big Megee Lake and setup camp alongside its shores. 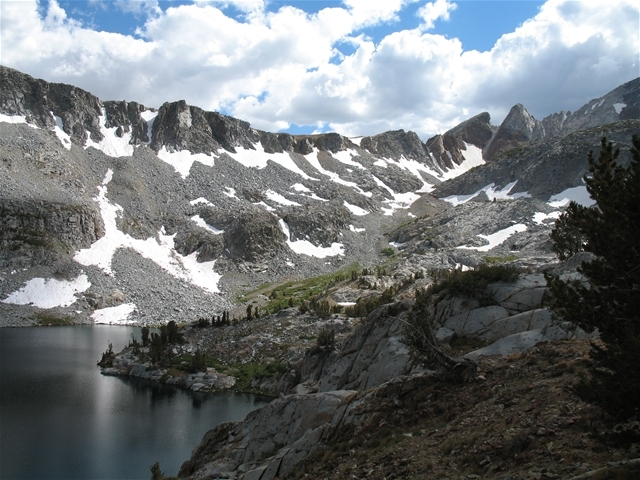 The next day we slept in, waiting for some high Sierra howling winds to subsi de, and eventually got out of the tent, fixed breakfast, and prepared for a day hike over Megee Pass.